Samuel Skrbinsek aka Kartara started 1988 to produce electronic music with only 16 years on a C64 and AMIGA. Till today Sam uses untill hundreds of aliases for thousands of releases! With the ANGELS REVERSE trance project he got also an UK chart hit - it was also a massive club hit all over the world. With ESPUMA - ULTIMATE TRIP he sold over 25.000 vinyls which was also NO.1 in the dutch trance club charts for weeks - this was a massive time. After over 15 years playing all over the planet, he is now back to zero. 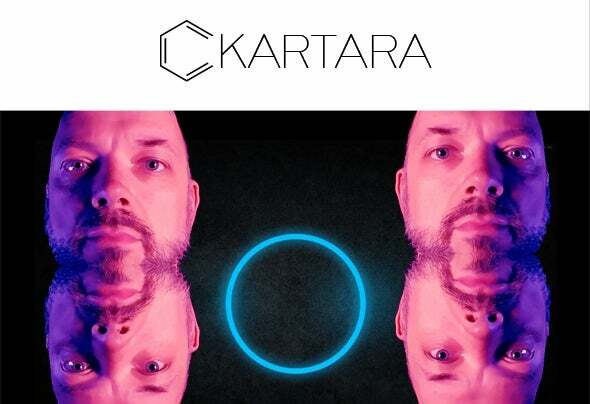 Back to Trance...Some KARTARA facts - Energy / Street Parade Zürich (CH), Antiworld London (UK), WEMF Toronto (CAN), Boomtown Festival (UK), Waldfrieden / Wonderland (Germany), Bass Station Melbourne (AUS), Burning Man (USA), Goliath (DE / CH), Storm (UK), Contact (UK), UK44 (UK), Premonition Plymouth (UK), Oxa Club Zurich (CH), Giga Parc Germany, Sounds Of Nature (SLO), Love Parade, Airbeat One, Q- Base & Defqon1 (NL), The Bridge Club Resident Meppen, Whitewolf (CH), Areamito Sardegna (ITA), Number One Milano (ITA), Fun Factory Wildeshausen, Melody Of Madness Berlin, Deathrave Berlin, Friedlich Feiern Berlin, Resolution (UK), Fantasy Island (UK), Tunnel Club, Time Tunnel, Rave The Place Kiel, Goodgreef Manchester (UK), BIONIC Bristol (UK) much much more...Till Today he is one the Heroes from the legendary Love Parades 1992 - 1995 in Berlin with unforgotten Live shows using only his TR 909 + TB 303 and a Roland Juno 106... Pure Acid Trance!